In Short: Having a high blood platelet count is a strong predictor of cancer and should be urgently investigated to save lives, according to a large-scale study. Cancer is one of the greatest health concerns in the developed world, with approximately 14 million new cases per year across the globe. In the UK, cancer survival is poorer than in the US and in many other European countries. Much research is focussed on finding out why and developing strategies to improve cancer outcomes in the UK. Diagnosing cancer earlier is a key strategy to improving survival for patients. When cancer is diagnosed at an earlier stage, it is easier to treat, and patients are likely to survive for longer. For example, 50–70% of patients with stage I lung cancer survive for five years after diagnosis, whereas for stage IV, only 2–10% survive for as long. We investigated the platelet count as a potential diagnostic marker of cancer. Platelets are small cells in the blood which are involved in the blood clotting process and in immune response. A normal platelet count is 150–400 billion platelets per litre of blood; anything over 400 is a raised platelet count, known as thrombocytosis. 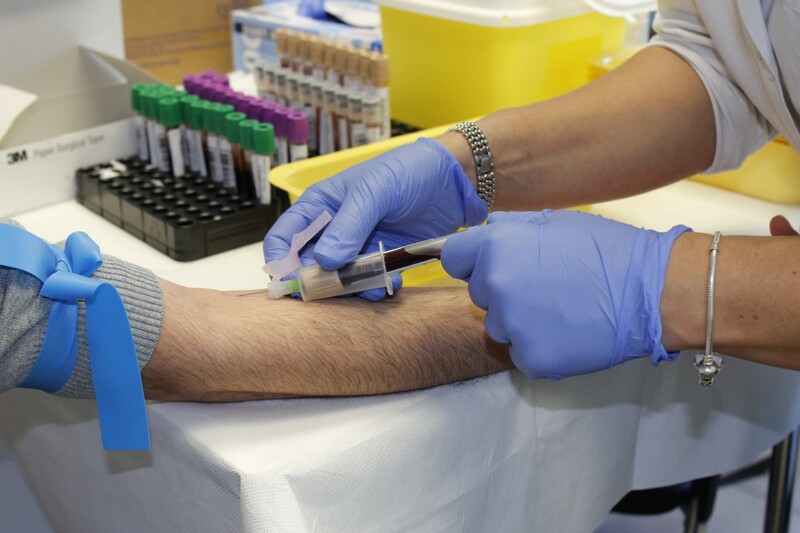 The platelet count is measured as part of a routine blood test. The study found that thrombocytosis is an important risk marker of cancer. Thrombocytosis is a disorder in which your body produces too many platelets. We compared the proportion of new cancer cases in two groups of patients: those with thrombocytosis (raised platelet count) and those with a normal platelet count. Results indicated that 11% of men and 6% of women with thrombocytosis were diagnosed with cancer, as opposed to 4% of men and 2% of women with a normal platelet count. This means that the risk of cancer was three times higher in patients with thrombocytosis, compared to those with a normal platelet count. These figures are exciting as they show that thrombocytosis could be used by doctors to identify patients to send for further investigation for cancer earlier; perhaps before other symptoms begin. In the study, a third of lung and colorectal cancer patients with thrombocytosis had no other ‘alarm’ symptoms that would have prompted cancer investigations in the year before they were diagnosed. If thrombocytosis was recognised as a risk marker of cancer, it is likely that a third of lung cancer patients would have their diagnosis made earlier — which could make the difference in longer survival. Research Article: Clinical relevance of thrombocytosis in primary care: a prospective cohort study of cancer incidence using English electronic medical records and cancer registry data. British Journal of General Practice. 67 (659): e405-e413. Editors note: This is a correlation study and should not be confused with causation. This article was written by Dr. Sarah Bailey, the first author of this study. Dr. Sarah Bailey is a research fellow at the University of Exeter Medical School, UK.